1) In 2017, Margaux was more affected by frost, resulting in less consistency. Some wines lack energy and structure. 2) Château Margaux and Palmer reign, Marquis d’Alesme Becker, Rauzan-Ségla and Malescot St. Exupéry just behind. 3) Generally wines for early to mid-term drinking. The commune of Margaux was affected by the frost to a greater extent than those further north in 2017, the most high-profile casualty d’Angludet, denied a drop of fermented grape juice. That is partly down to the estuary being less wide than upstream compared to Pauillac or Saint-Estèphe. There is less mass of water, ergo less influence upon air temperature that helps protect vineyards from frost. In addition, it tends to be more “sensitive” than Saint-Julien or Pauillac. You have the feeling that a traumatic event like frost has greater impact upon the vines and resulting wines. However, there are some successes, not least an excellent Marquis d’Alesme Becker that has really ratcheted up the quality in recent years, likewise Malescot St. Exupéry. But let’s begin, where else, at those Doric pillars at Château Margaux. Frost does not really give two hoots about the reputation of a vineyard, its historical importance, nor the price tag. It goes wherever it chooses. In 2017 the vines at Château Margaux were not spared. “Frost affected eight hectares,” estate manager Philippe Bascaules told me. “At the end of June there was more than 100mm of rain that helped with the drought. Summer was very dry in July and August. There was around 70mm of rain in September that changed the view of the vintage, then there was a bit of rain over the following days. Therefore we saw some botrytis in mid-September and we decided to wait a little, during a sunny period. We began picking the Merlot on 18 September but we stopped the harvest on 22 September and started again on 25 September with the Cabernet Sauvignon, each picker sorting in the vineyard. We were surprised by the concentration. 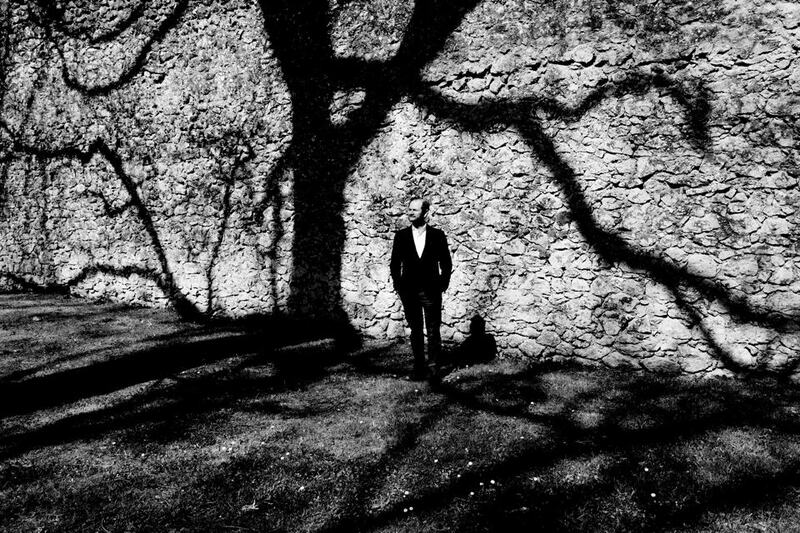 The Grand Vin represents 37% of the total production this year, the Pavillon Rouge 22%.” Those last figures demonstrate the draconian selection at Château Margaux these days, a majority of the fruit now ending in either the second or recently introduced third wine. It is a “classic” Château Margaux that will not match the extraordinary 2015 or 2016, yet is reminiscent of say, the 2012, with just a little more depth. Whereas in some years I feel that the Pavillon Rouge pushes closer to the Grand Vin, in 2017 there is a distinct difference between the two and it is outshone by the superior Pavillon Blanc that relished the favorable growing season for the whites. This pure Sauvignon Blanc is one of the best that I have encountered in recent years, though I remain more parsimonious in my score compared to others I have seen since I do not find it possesses the longevity of the greatest white Pessac-Léognans. Continuing the theme of frost not sparing the mighty, at Palmer, estate manager Thomas Duroux lamented that he lost some of his crop. “Fifteen hectares were hit by the frost, mostly Alter Ego vineyards. Towards the western side [of the vineyard] these were totally destroyed,” he explains. “One block was partially frosted with first and second generation bunches and at véraison we decided to lop off all the second generation fruit allowing the first to ripen. Picking started 20 September and finished on 29 September, a relatively early harvest. We knew from July we would not have very tannic fruit due to the rain postponing the vegetative growth and phenolic accumulation. In September the rain made the berries a little bigger, so we knew that there was a risk in terms of ripeness. The key was to find the right balance in the wine. Since 2014 we have not used sulfite before fermentation and this time, no SO2 in the fruit or selected yeast. Also we postponed the first SO2 addition, which was done at the end of February at blending instead of the malolactic. This helps the fruit expression and tannin finesse.” Similar to Château Margaux, this year I discerned quite a tangible difference between the Château Palmer and Alter Ego (even though the latter is not strictly a deuxième vin). As usual, my sample of the Grand Vin was extracted from a used barrel so I had to factor that in projecting how the wine will evolve going forward. It certainly has excellent depth and concentration, the texture satin-like and the length reassuringly long. I admire the typicité of this Palmer, how its place of origin shines through. It could only come from Margaux, those signature violet and iris scents blooming from the glass. I quipped to Thomas that it was so delicious that I almost wish there is not any new oak in the final blend. Though I know he would not countenance that, it did make me wonder how a cuvée that eschewed new wood altogether might taste. Vinous readers can expect a vertical of Rauzan-Ségla on its pages in the near future but in the meantime, I met up with winemaker Nicolas Audebert to assess the latest offering from an estate that is flying high at the moment. “The impact of the frost was quite important on some terroirs. All the parcels on the western side of the estate, further inland where there is less wind ventilation and the cold stays longer were affected. The chef de culture woke up in a cold room and he knew something was up. Except for this, the other parts of the vineyard were fine. If you forget the frost in the beginning and the rain it was great. The flowering was quick and even, véraison by 10 August...people who have been here a long time had never seen anything like that. We had no lack of water or temperature heat spikes. It was cloudy and fresh but in terms of the evolution of the vine, everything happened at the right moment. We started the picking on 12 September until 28 or 29 September, stopping and starting during this period, picking when we wanted. We had to do a selection in the vineyard because there was botrytis. It was a question of pressure and picking at the right time, not at the latest. Where the frost impact was strong, it was rejected from the blend for both Rauzan Ségla or Ségla.” That strict approach to selection paid dividends in 2017 and whilst it does not match up to the 2015 or 2016, the 2017 continues a run of exemplary wines. Whereas in 2015 I might have opted for the Right Bank wine under Nicolas’s charge, Château Canon, in 2017 I have a preference for his Left Bank. 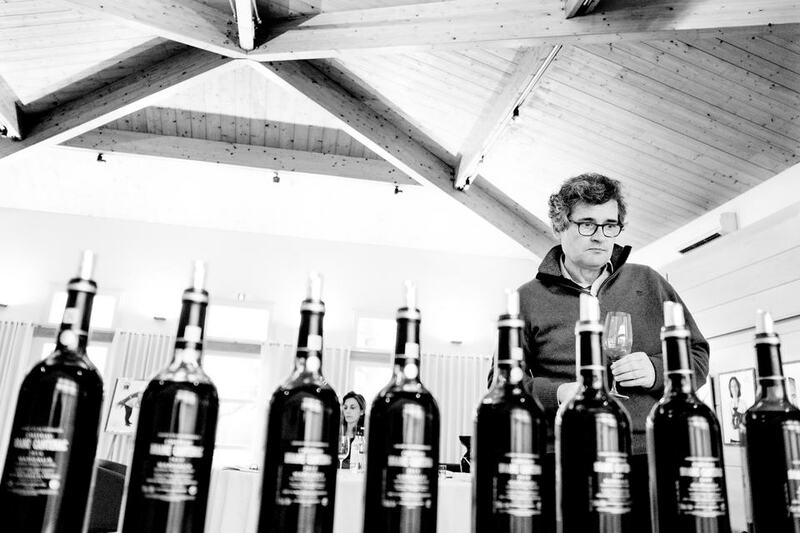 Brane-Cantenac is a château that has been on a roll recently under proprietor Henri Lurton. The “Pauillac of Margaux” veers towards a classic style, more often than not, a tricky and deceptive wine to taste out of barrel. It can feel austere and even a little green however, as the wines mature these characteristics are subsumed and impart real complexity. You just have to be patient and keep faith. Unfortunately Henri told me that the vineyard was not spared frost damage. “Around 35% was destroyed and so we are going to mostly replant these parcels,” he told me. “They were mainly plots that go into the deuxième vin, Baron de Brane, than the Grand Vin. After that we now use drones to monitor the growth of the vine. Unlike in 1991 when the Brane-Cantenac came entirely from second generation fruit, in 2017 there is very little.” Those with a penchant for Brane-Cantenac will love the 2017. As usual, it comes across more Pauillac-like on the nose than Margaux, a little dry and maybe brusque on the palate, yet long in the mouth. Whilst it does not possess the flair of the 2015 or 2016, it is still a very commendable Margaux cru that should give 15 to 20 years drinking pleasure. The second wine felt a little under-ripe by comparison and here one could see that the frost had retarded ripeness and there is more secondary fruit. Vegans. Don’t get me started on vegans. Ever tried cooking for a vegan family? Tortuous. What wine do you serve? At Château Dauzac, they eyed an opportunity and now produce a certified vegan wine. Estate manager Laurent Fortin told me that they even have a little escape channel for insects that might inadvertently find their wine into vat. It demonstrates the lengths that many estates are going to and Laurent is planning on converting his entire biodiverse vineyard to biodynamics by 2020. “We were not touched by the frost so we had a normal harvest, cropping at 47hl/ha,” Laurent informed. The 2017 Dauzac is one of the more successful wines in Margaux, perhaps one that punches above expectation with quite a precocious bouquet and a finely structured palate. It is often keenly priced and could represent one of the most tempting buys when released. And hey, if you have any vegan oenophiles coming for dinner then you know what to buy. To the best of my knowledge, Alexandre Van Beek is not a vegan. I have spotted the estate manager at Giscours and du Tertre devouring foie gras at various dinners in the past. I turned up at Giscours at the crack of dawn to taste through his 2017s that follow back-to-back triumphs in 2015 and 2016. “We had a very good summer,” he explained. “We started getting worried at the end of August and then we got the splash of rain that we ordered. This brought the Cabernets to great maturity though we will have around 37% less of the Grand Vin. The historical parcels (that usually go into the Grand Vin) were not hit by frost, which affected more the lower parcels that were never planted in the past. We did not extract at particularly high temperatures because there was already concentration in the wine. Throughout the vinification, especially leading up towards Christmas, we became more positively surprised by the wines.” Whilst not in the same league as the 2015 or 2016, the 2017 Giscours is promising. It has a lighter “chassis” compared to the 2016 that gives the impression of a more accessible Giscours that should give 15 to 20 years of drinking pleasure, but will not require extended cellaring. Another property relatively unscathed by frost was Château d’Issan. This is another Margaux growth whose golden age is not in the past. It is the present (as attested by a recent vertical that will appear on Vinous in the future) under Emmanuel Cruse that have produced a string of great wines that might well be flying under the radar of some. Fortunately in 2017 there was no frost damage within the walled vineyard, just some vines touched outside that is traditionally not used in the Grand Vin. At Château Siran, proprietor Edouard Miailhe told me how he increased the Cabernet Sauvignon in the blend. “It was an incredible May and June, warm and dry,” he told me. “There was a little rain at end of June and then July and August cool and rainy. We had ten days of rain from 7 September, around 72mm and then we finished the picking on 5 October, the eventual yield 52hl/ha.” Siran and Dauzac, whose vines share the Labarde plateau and vie against each other, the result being both produce far better wines now than ten years ago. This year I just lean towards Dauzac that shows more freshness and a touch more depth. 1) A strong vintage for Saint-Estèphe with a clutch of great wines at the top. 2) Lafon-Rochet – a strong performance that places them amongst the leading pack. 3) Continued investment by wealthy proprietors means Saint-Estèphe has changed completely in recent years. Wines now much more approachable and less tannic. Like 2014, the 2017 vintage played into the hands of Saint-Estèphe: a strong showing that will inevitably continue to consolidate its reputation, after playing second fiddle to Pauillac and Saint-Julien for a number of years. Its convincing performance is partly down to the vagaries of the growing season. The proximity of major estates to the Gironde spared them from frost damage and the water retentive clay soils spared vines from excessive hydric stress vis-à-vis those located on free-draining gravel croupes. It is also because millions of euros have been invested at Montrose, Cos d’Estournel and Calon-Ségur, completely changing the face of Saint-Estèphe. The bottom lines is money ain’t a problem for those aforementioned estates and we can now include Bernard Magrez, since he debuts his Magrez Le Peyre. As a consequence, a no-expense-spared approach is expected and this collective push for quality has elevated Saint-Estèphe’s reputation. I remember tasting here in the late 1990s when it was infamous for muscular wines, tannins made from iron girders and drinking windows so far into the future that only your grandchildren might be able to one day drink the wine. They were carthorses to Pauillac’s thoroughbreds. That is no longer the case. Whilst they do tend to exhibit more backbone, after all, that is part of the Saint-Estèphe DNA (Haut-Marbuzet excepted! ), the tannins are now almost unrecognizably finer and the wines more precise than even a decade ago. You know what Saint-Estèphe possesses now? Ambition. Unalloyed ambition. When I speak to proprietors, there is an undercurrent, an unspoken indignation of their lack of a First Growth, an injustice dating back to 1855. Mentally, the top names think like First Growths. They almost act like First Growths and, so do their wines from time to time. Add to the mix Lafon-Rochet, where the Tesserons have created one of the few wines that may match or even surpass the 2016, you have a quartet that are certainly competitive, but in doing so, fly the flag for the appellation. Expand your horizons further and you will find a handful of great 2017s from Les Ormes de Pez, Capbern and, for the first time in two decades of attending en primeur, a potentially fine Cos-Labory. Saint-Estèphe is happening. So, let’s look in more detail at some of the wines. As has become the tradition, Cos d’Estournel was the very first port of call and also one of the last at the tail-end of en primeur week (when visitors were gifted free miniature jars of turmeric, presumably in case the 2017 is not spicy enough?) 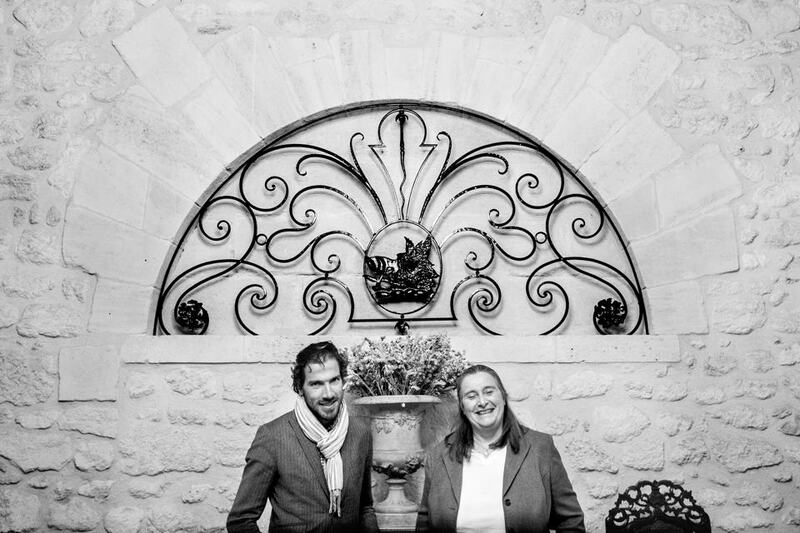 As usual, long-standing winemaker Dominique Arangoïts guided me through the latest releases alongside proprietor, Mon. 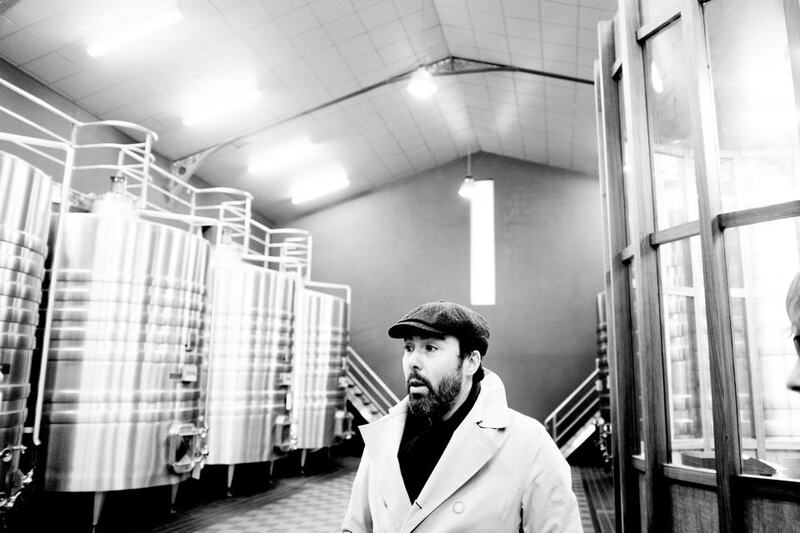 Reybier, estate manager Aymeric de Gironde having swapped banks, taking over the running of Troplong-Mondot since last autumn. Following the stunning 2016 Cos d’Estournel is no easy task, though truth be told, few claimed that their follow-up was equal to the previous vintage. However, the 2017 does continue a run of excellent wines. Like Vincent Millet over at Calon-Ségur, Dominique Arangoïts is the constant thread at Cos d’Estournel, an experienced winemaker with an intimate knowledge of the terroir. It is a beautiful Saint-Estèphe in the making, much more refined than some of the blockbusters produced in the previous decade. Though predestined to be over-shadowed by say the 2014 and 2016, the 2017 should not be over-looked by those who follow this estate’s wines. Lego. I was addicted to those plastic bricks. I even ended up in the local paper, posing next to my sprawling Lego town. So, my heart skipped a beat upon spotting a model Lafon-Rochet made entirely out of Lego. I can remember constructing a fire station and a space ship however, I cannot remember building a Bordeaux château. Was that part of their “1855 Classification” range? Apparently not... Basile Tesseron tells me that it was specially commissioned and no doubt every other Grand Cru Classé wishes that they had the idea first. You could see it as an allegory. 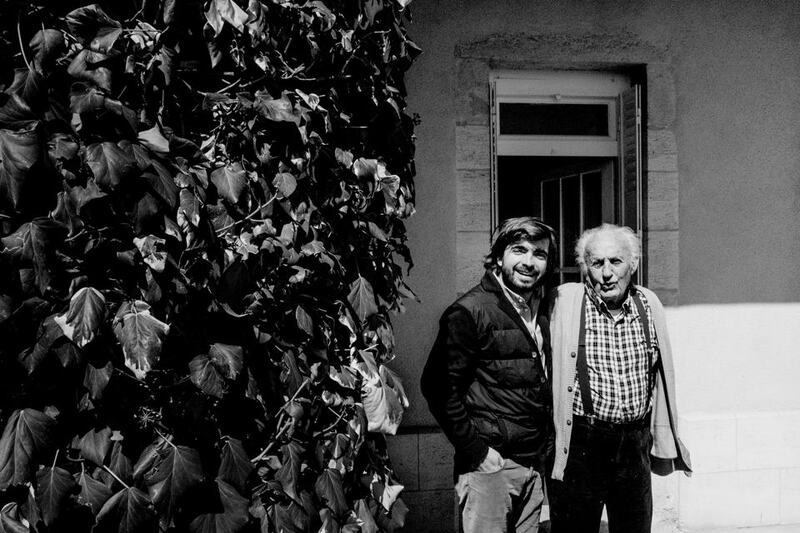 Basile has been “building” the Lafon-Rochet in recent years after taking the reins from his father Michel, not only in terms of investing in a new winery replete with de rigueur concrete vats, but building the reputation of the name itself. People talk of the “big three”: Cos d’Estournel, Montrose and Calon-Ségur. Clearly in Basile’s eyes it should be the “fab four” and you know what? Judging by the latest release that is entirely possible. This is a property that has come a long way since just a decade ago. I have caught glimpses of its potential but being the ever-objective critic, rarely felt as if it truly merited a place in the top rank of Saint-Estèphe. Whilst I would not claim it is the best wine of the appellation, I think the 2017 will surprise a few people in blind tastings once in bottle. It is certainly the first vintage at this prenatal stage, where I returned to my car and thought that Lafon-Rochet has a rightful place, shoulder-to-shoulder, with the other three big names that lest we forget, have far deeper pockets than the Tesseron family. Factor in potential price and Lafon-Rochet might represent the best value for money once released. Given a good en primeur campaign, who knows, maybe Basile can buy a few more Lego sets. Saint-Estèphe is an appellation whose horizon has been strewn with towering cranes in recent years, first Cos d’Estournel and then Montrose, more recently Lafon-Rochet and Calon-Ségur. You could argue that Calon-Ségur was the property most overdue head to heel overhaul, the redoubtable and yes, much missed Mme Gasqueton having left the historic estate unchanged since she took over the running in 1995. One constant has been talented winemaker Vincent Millet. He has worked under two very different regimes and produced great wines in both eras. It was a canny move by owners “Suravenir” to keep Millet on the payroll, someone who knows the estate better than anyone else and if anything, has flourished under the current proprietorship. 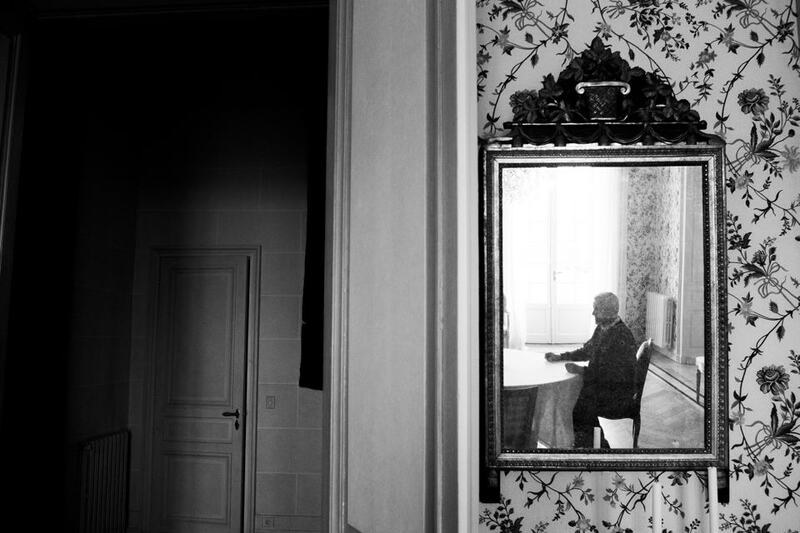 Like the Marquis de Ségur, his heart lies at Calon-Ségur however, there is nothing he can do about the renovation work that has been going on for the last five years. I continue by asking Laurent about the growing season. That last sentence is fundamental to the success of Calon-Ségur this vintage. They might have been tempted to go for broke, distracted by the “opposition” and produced a super-concentrated, critic-baiting wine that would impress at en primeur. Instead Vincent Millet has created a quintessential Calon-Ségur that will rank alongside the previous two vintages, yet, cut from a different cloth since the final blend has been “rejigged”. Calon-Ségur occasionally stumbled over its own power, often because of the high alcohol imparted by the Merlot. By “taming” the Merlot and limiting its contribution, they have edged closer to what a top-grade Grand Vin can be, though we will not really see the results until the renovation is completed and more importantly, when new vine plantings reach maturity. That takes many years, but the prospect is tantalizing. You can bet your bottom dollar that it has the likes of Montrose and Cos d’Estournel on their toes. I will also point readers to the superb 2017 Capbern, fast becoming one of the bargain must-buys of the Left Bank and a perfect introduction to the delights of Saint-Estèphe. Approaching Montrose along its long straight driveway, I was distracted by a bright white light emitting from a hedge. What the hell was it? A tractor beam locked onto my hired car? Then I heard the whirr of rotor-blades and a helicopter landed beside the car park. In many ways it symbolized how Bordeaux has changed in recent years, the wealth that has accumulated at the gilded top of the hierarchy. Of course, what you cannot change is the earth in which your vines are planted and therefore, Montrose will always be Montrose. Estate manager Hervé Berland was on hand to describe the growing season. The 2017 Montrose is exactly what I expected, which is intended as a term of praise. It does everything you want a Montrose to do in terms of structure and personality, yet it is clearly hewn in a more approachable style compared to ancient vintages that blunted your teeth if you drank them within ten years. Give this 2017 five or six years in bottle and I am certain you will find plenty to enjoy, though I would maintain that Montrose still deserves time in the cellar, longer than most. The one wine that did not quite meet my expectations this year was Phélan-Ségur. I have a lot of respect for this estate and participated in several blind tastings when it has surpassed expectations. However, even though I tasted this five or six times around assorted tastings, it felt a little disjointed and lean towards the finish. Perhaps it just took its eye off the ball as it changed hands? Under Belgian shipping magnate, Philippe Van de Vyvere, I have little doubt it will come back strongly, especially since from what I have heard, he will be underwriting radical improvements in the vineyard and winery. Once you move away from the “big names” that admittedly quality does become more variable. There are one or two that produced really quite excellent wines, not least a superb Les Ormes de Pez from the Cazes family. One person opined that they preferred it to Lynch Bages and whilst I would not go that far, there is no question that this is a really well crafted Saint-Estèphe that will hopefully represent good value once released. There is also a strong showing from Le Boscq, but beyond that then if you tread carefully, consumers should be able to pick up some finely crafted wines, many giving up to a decade’s worth of drinking pleasure. 1) Predictably, the best appellation on the Left Bank, major properties unscathed by frost, though not Pauillacs firing on all cylinders. 2) Lafite-Rothschild perhaps the best First Growth by a whisker, the two “Pichons” still on a roll. 3) Classically styled wines, the best destined for medium- to long-term ageing, though none match the 2015 or 2016 in terms of quality. Pauillac. Posh wines made by posh people to be drunk by posh people in posh restaurants and posh homes. In this age of growing inequality, the rich getting richer and the poor getting poorer, the 2017 Bordeaux wedged that truism wider. In this instance it is not capitalism at fault (though some might argue Pauillac epitomizes capitalism in its purest form) but rather geography, geology and Mother Nature. The first two conspired to position Pauillac’s top estates next to the Gironde and furnish it with finest terroir and Mother Nature delivered a growing season that vanquished countless vineyards but spared the blue blooded estates of Pauillac. There might exist pockets blackened by frost, for example, the whites that form Mouton’s Aile d’Argent however, hardly any vines predestined for a Pauillac Grand Vin were touched. This richest commune profited from a season that bestowed the opportunity to make excellent wines in good volume. It is a new look Lafite-Rothschild. Willows still weep where rolling lawn meets tarmac and the vineyard is exactly the same. It’s the faces that have changed. Eric Kohler replaced Charles Chevalier a few years ago (though it was a pleasure to meet Charles at a soirée, incidentally where they served a brilliant 1998.) Then this year, Saskia de Rothschild replaces her father Baron Eric de Rothschild and Jean-Guillaume Prats departs LVMH to replace the (shy and) retiring, Christophe Salin. No doubt fresh blood will give new impetus to this historic estate that celebrates the 150th anniversary of Baron James de Rothschild’s assiduous purchase. 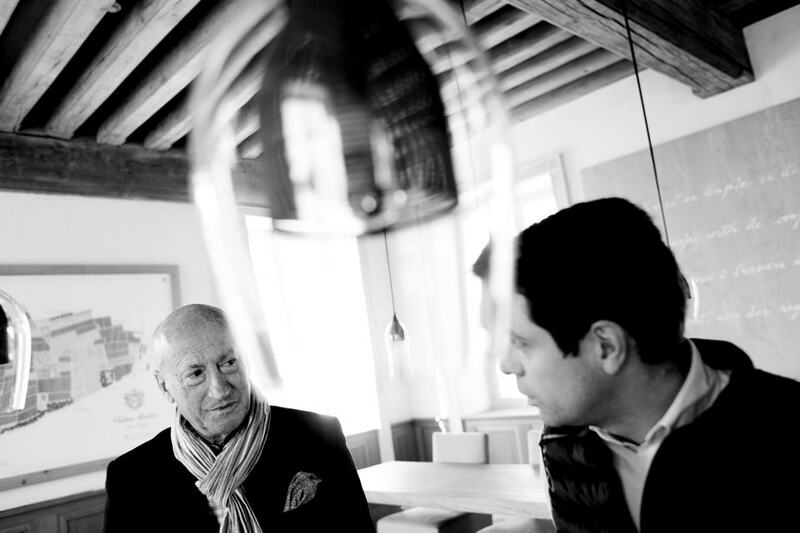 Jean-Guillaume has huge experience not only at LVMH, but of course, at its neighbor across the tributary, Cos d’Estournel (indeed, one wonders if he was considered to replace the departing Aymeric de Gironde.) Saskia brings worldly experience having pursued a successful and peripatetic career as a journalist, during conversation professing a passion for Ethiopia, a country that must seem miles away from the rarefied air of a First Growth. She is young, energetic and with a refreshingly wry sense of humor that will always stand you in good stead. It has been a few years since I have written this but I suspect that Lafite-Rothschild may well be the pick of the First Growth this year. Only by a whisker mind you, but it has a “je ne sais quoi” that it lacked in recent years. It is often a subtle wine out of barrel, rarely one that sets the pulse racing at such an early stage. However, in 2017 I felt there was a little more ambition and refinement, a touch more density towards the finish. Returning to verify my observations, if anything a second showing in mid-April confirmed that this is a really quite fantastic Lafite-Rothschild, a contender for the best wine on the Left Bank. Philippe Dhalluin has been on a roll since taking over the running of this First Growth, elevating Mouton-Rothschild to the top when some, including myself, were beginning to question its top ranking at the end of the 1990s. Nowadays there is absolutely no doubt. The 2017 is a more classic and slightly more austere wine compared to other vintages, the nose actually reminding me of Château Latour. It does not possess the flair or panache of the 2016 – this is more “correct” and “linear”, yet surfeit with freshness and energy. It may take longer to reach its drinking plateau than recent vintages so do be prepared to wait a decade before opening. Philippe blended the deuxième vin, Le Petit Mouton later than others in his portfolio and I felt it was too reduced on first showing. I did taste it a second time but felt that it would be better to wait a little longer before assessing what has fast become one of the finest second labels. You know they used to call Lynch-Bages the “poor man’s Mouton”. Well, it is clear that no poor man is underwriting the cost of the construction work that continues here. I paused with Jean-Charles Cazes to observe the deep excavation that will house the new barrel cellar and vat-room, though such was the deluge, he could easily save a few euros and turn it into an Olympic-size swimming pool. The wine is being temporarily made in facility next to their warehouse in Pauillac, though that did not stop them kicking the ball out of the park and overseeing one of the greatest Lynch-Bages that I have tasted out of barrel in 2016. That was always going to be impossible to match given the growing season. The 2017 Lynch Bages is a very fine wine in the making, though it will be more approachable and less long-lived than the 2016, a success given that it was made in the temporary winery, but not amongst the top tier that I have encountered over many years. Of course, that is not the only Pauillac under their charge. 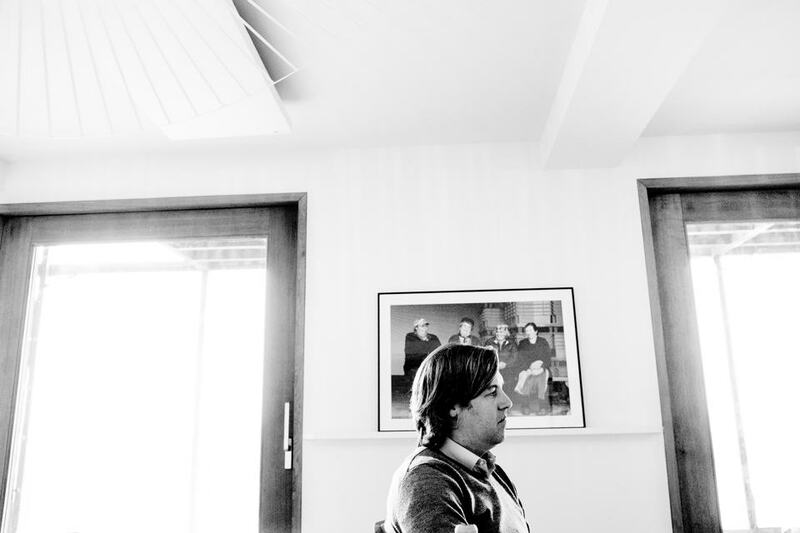 Jean-Charles Cazes on a brief visit to Haut-Batailley. He chose to paint the winery pink, his favorite colour. I ask Jean-Charles about the 2017 vintage. “We had good yields with no frost and the vines that did not suffer frost enjoyed a very good flowering, which set us up for a good yield. Afterwards, the summer was not as sunny and warm as previous years. There was some rain in early September that affected more the Merlot, so the Cabernets performed better this year. We harvested with no disease pressure and finished in advance compared to average dates. We obtained 12.5° alcohol with nice acidity.” The 2017 Haut-Batailley is a very fine Pauillac, smooth in texture and precise. It’s a very good and very competent start to a new era rather than a revolution, the benefits of investment by the Cazes family inevitably yielding results that I suspect will realize even better wines in the future. Literally two minutes as I filed this report, the wine was released at a “punchy” 46% above ex-cellar prices for the 2015 two years ago, clearly the first step in repositioning the brand. Speaking of the Borie family, of course, I dropped in at Grand Puy Lacoste. “We had no frost at all,” Xavier’s daughter, the peripatetic Emeline Borie assured. “We had some cold weather in late April but it was not like other areas. We had a heat-wave in June and afterwards I had the impression that summer was not so warm. But when you see the figures it is more like a classic Bordeaux vintage. There was nothing strange and different.” I found much to like in this year’s offering, even if it does not attain the heights of either the 2015 and 2016. Those who love the classic lines of “GPL” will enjoy this 2017 and hopefully it could represent good value. Like others, it is far more approachable than the wines of the 1980s or 1990s and so it will not need many years in the cellar. Although the recalcitrant Château Latour no longer release their wine to négociants with the other First Growths, they continue to show barrel samples during the spring alongside their latest library release that I reviewed recently on Vinous in Cellar Favorites. 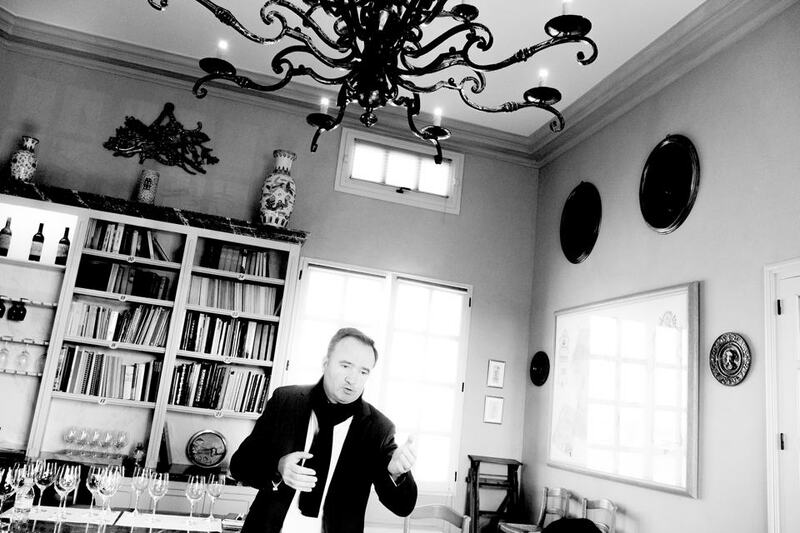 It has been a busy year for owner François Pinault, adding Clos de Tart to his collection that now includes Château Grillet, Araujo and Domaine d’Eugenie. I met with Frédéric Engerer at the property. “It was a bit of a hectic year,” he explained. “There was no hydric stress, with only a tiny bit of frost damage up towards Mouton Rothschild. There was 70mm of rain in the first two weeks of September. The season reminded me of the 1999 or 2001, though not in terms of the style of the wine, which is between 2012 and 2014. The 2017 has a charm and a line of tannin that gives ageing ability. They are silky and refined with the backbone underneath.” Readers will note a negligible contribution of Cabernet Franc this year in all three 2017s since Frédéric was never its biggest fan and the vines are being removed. It is a good, solid Latour as you would expect, not unlike Mouton-Rothschild in coming across as structured and backward. Its élevage will put on a bit more fatness though stylistically it reminds me of the excellent 2012 Latour with just a little more length. Once you have digested all that information, it is clear that Alfred Tesseron, now assisted by his daughter Justine, is pioneering and others are following. That does not obviate criticism. In fact, honest feedback is crucial as an estate breaks new ground because at the end of the day, the only thing that matters is swishing around in the wine glass. Now, this was one estate whose unfinished wine transformed between my first visit in March to my second visit in April (amongst the melee of visitors queuing up in the vat-room). On my first visit the wine lacks a little depth and as I have remarked before, did not convey Pauillac typicité. However that trait was much more evident on the second visit: more linearity, substance, a touch more backbone and reserve on the finish. Ah, now that was the Pontet-Canet I recognize. My tasting note in this report comes from the second visit, as I believe it to be more indicative of the direction it is heading. Christian Seely was on hand to guide me through the AXA-Millésime Bordeaux portfolio that not only includes Pichon Baron, but the oft under-rated Pibran, as well as Suduiraut and Petit Village. Again, I asked the question that he must have been sick to the teeth of by the end of primeur... “Frost?” Christian replies: “The vines in Les Tourelles was affected by the frost but nowhere else. The sloping part of Pibran planted with Cabernet was touched so there is more Merlot in the blend for that. The flowering was over 12 days. I think it is closer to 2014 than 2015 and 2016, but 2014 was the product of a cool summer and fantastic end of season, whereas this was a cool summer with a difficult end of season. It was a year of strange extremes. But I find the wine harmonious and balanced. It is a vintage that does not represent its agricultural year, does not reflect its ups and downs. You might have expected big and ripe wines given the heat in the summer. There is ripeness and also freshness, though not necessarily derived from acidity levels.” This was another fine brace of wines from Christian Seely, particularly Pichon-Baron that is first becoming the First Growth for those who are not bothered whether it says First Growth on the label. That said, it is a couple of steps behind the 2015 and 2016 in terms of concentration and complexity, yet it will still provide two decades of fine drinking. Pichon-Lalande pictured in the pouring rain. All it needs is Robert Smith moping from a window about Charlotte Sometimes. Construction time again. At least here at Pichon-Lalande it looks closer to completion, just the surrounding gardens waiting for their lawn. 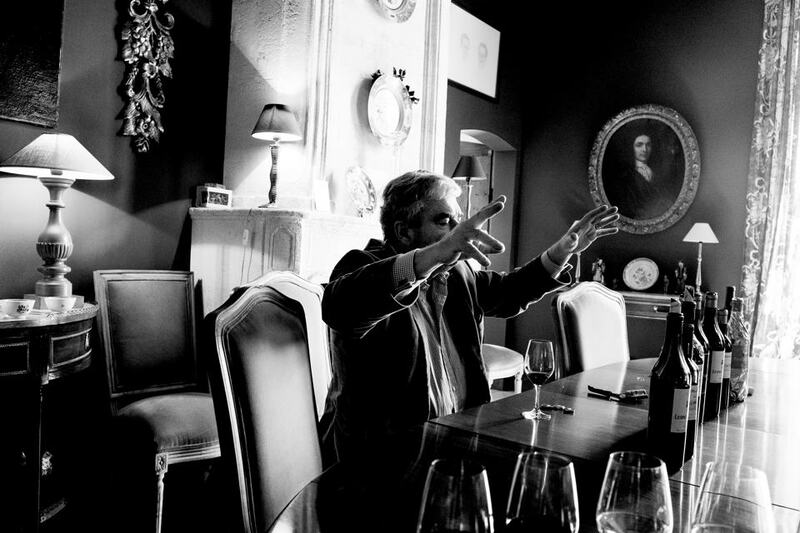 Since transferring from Montrose, estate manager Nicolas Glumineau, Bordeaux’s second most obsessive Robert Smith/The Cure fan after Bruno Borie, has been the impetus driving Pichon-Lalande forward. “It was a dry year. Except for the rain in September the season was great. At the end of the day, the rain helped the Cabernet to finish ripening the pips. The key was to have a lot of pickers. We have around 150 and whilst waiting they do other tasks whilst parcels reach full ripeness. Hence the harvest lasted almost four weeks. There was 75mm in Pauillac compared to 120mm in Saint-Estèphe and that made a big difference, especially for the Merlot. We started picking on 7 September for the young Merlot and finished on 1 October. The Reserve de la Comtesse represents around 50% of the total production but I tell the technical team to approach the vineyard as if we make 100% Pichon-Lalande. Then for the blending sessions, we do everything blind. We were stressed looking at the health of the Cabernet but we found the tannins becoming finer and finer towards the end of the growing cycle. There is a saltiness on the finish of the wine that I find very appealing.” Readers should note that the estate takes samples from new barrels although it will not necessarily represent 100% in the final blend, but factoring in less oak, there is still no doubt that this will mature into a supremely gifted Pichon Lalande that will find many friends. Yes, like others it is not a corpulent Pauillac and those that relished the fleshy, Merlot-driven wines in the past may find it a little reserved. However, there is plenty of freshness locked into this wine, not to mention that lip-smacking salinity that Nicolas mentioned as he donned his Robert Smith fright wig and smudged his red lipstick. Overall, it was a very good, solid clutch of wines from Pauillac that might not match up to their 2015 and certainly 2016 counterparts, but the bottom line is that terroir played a critical role in 2017 and whether you like it or not, Pauillac has some of the greatest terroir in the world. 1) A good showing for Saint-Julien though not without casualties from the frost. 2) Léoville Barton and Las-Cases the standouts, along with Ducru-Beaucaillou and Léoville-Poyferré. 3) Wines generally miss the depth and complexity of 2015 and 2016, but should be ideal for medium-term consumption. Saint-Julien is that most trustworthy of communes, bedecked with a class of excellent château without really a weak link between them. All that “Team St. J” is missing is a First Growth, to make it a kingdom with a king. Yet in many ways it is surplus to requirements, its reputation galvanized by consistency from one year to the next. At one point I wondered whether there was a bit of inertia in Saint-Julien juxtaposed against other appellations. Saint-Julien continued blithely along without the investments seen in Pauillac or Saint-Estèphe. But things are beginning to change with the new winery at Beychevelle and Jean-Michel Laporte’s appointment at Talbot, which I suspect will shake things up there. In 2017, Saint-Julien offers one or two outstanding wines, but it does not grab the headlines. Here one begins to see encroachment by frost, not in those properties close to the Gironde but those whose vines are further inland and afforded less protection by the estuary. Yet, at the top end there are some really sublime wines that if priced correctly could be attractive vis-à-vis their Pauillac competitors. This year I am going to start our tour of Saint-Julien at Léoville-Poyferré since Didier Cuvelier announced that he would be retiring this coming summer, handing over running to his cousin Sara Cuvelier. Didier will be missed. He took this property from an also-ran Second Growth long overdue investment to one of the top estates, not just in Saint-Julien but on the entire Left Bank. This was my first encounter with Sara Cuvelier who seems friendly and knowledgeable and no doubt will keep Didier close-at-hand for any advice. “It was not difficult,” Didier tells me in the tasting room, still covered in wine writer graffiti (I cannot believe it is 11 years since I did one of the first scrawls on virgin wall.) “The fermentation was very rapid and the malolactic finished early. There were three parcels of Merlot that were extraordinary. It was the first time that we have used organic viticulture on six hectares of the vineyard and in 2018 it will be expanded to 15 hectares. I find the 2017 has the charm of 2012, the power of 2014 and the elegance of 2015.” It is interesting to see Didier praising the Merlot when some château further north asserted that the early September rain weakened the Merlot and consequently it was relegated out of the Grand Vin. Maybe having the “Merlot Master”, Michel Rolland as consultant helped? Across the road at Léoville Las-Cases I met with general director Pierre Graffeuille. “There was just a little frost on the western side, close to Talbot, in two plots of Clos du Marquis,” he told me. “In June we had quite high hydric stress but it did not slow down the growth cycle. In summer it was strange because it was dry, but quite cool and so this tempered the hydric stress. We did some green harvesting in the summer to decrease the yield and de-leafed three times. You did not want to do it too early otherwise you risked burning the berries. When we saw that the summer was not going to be warm and hot, we decided to do two more rounds of de-leafing. The work in the vineyard was important and we had to do a little more sorting in the vineyard, which also explains the lower yield. Roughly 60% of the vineyard is now organic. The one major risk was to over-extract. We separate the press wine into many lots and so we are very precise in blending them. The wines here were blended in mid-December and put into barrels with the pressed wine.” It is becoming predictable but yes, of course, Las-Cases takes the gold medal in 2017. Since it virtually overlooks the estuary, the Grand Vin was protected by the frost and simply by reading Pierre’s comments you can understand how much work was expended in keeping the vineyard in tip-top shape. Compare this to say, Pontet-Canet that took a more laissez-faire approach in terms of traditional vineyard practices and yet still made a very fine 2017. Anyway, it is a great Las-Cases that like its stylistic cousin in Saint-Estèphe, Château Montrose, is a little more supple and approachable than other recent vintages. So if Las-Cases gets the gold medal then who gets the silver? Strike up the UK and French (possibly Irish?) anthem and step forward Lilian and Damien Barton-Sartorius. The Langoa-Barton was just as I expected, so perhaps I was unprepared for such an impressive showing by Léoville Barton. Tasting it side-by-side against a barrel sample of 2016, to be honest, this was a rare occasion when there is not an enormous gap between the two. It is the complexity on the nose, the vivacity and fineness of the tannin, the pitch-perfect acidity and persistency that just elevates this Saint-Julien above many of its Second Growth peers. Given its loyal following I suspect that this could be one of the commercial “hits” of the primeur campaign. Bruno Borie was at Ducru-Beaucaillou to show me through his small portfolio that includes both Saint-Juliens and his properties in Listrac. “We have worked on the concentration so there was a severe sorting and bleeding within reason in order to maintain balance and harmony,” he explained. Like Léoville Las-Cases, its vines virtually “hug” the banks of the Gironde that afforded it protection for the April frosts, although Bruno’s Listrac properties further inland were more impacted. It is an extremely capable Ducru-Beaucaillou, picked just three days later than the Léoville Las-Cases. For me, this was one of the most backward and structured Saint-Julien wines that will require several years in bottle to fully subsume the 100% new oak, but if you are seeking a Saint-Julien with density and substance then this is where I would come. The deuxième vin, La Croix de Beaucaillou is also impressive equal to some of its fellow Grand Vins. At Beychevelle, Romain Ducolomb, who basically did the opposite of Aymeric de Gironde and swapped Right Bank for the Left Bank when he departed Clinet, was on hand to tell me about the 2017. “We were lucky as we were not impacted by the frost at all. It was the biggest crop since 1999. Flowering was very good. June to August was very good weather but in September there was some rain, around 80mm, which meant that vintage was not as good as it could have been. We did more saignée to get rid of the water, around 50% for the first wine.” The superlative 2016, the first vintage made in their brand new “see-through” winery, was always going to be difficult to follow, though I think that Roman and Philippe Blanc did a sterling job. It is a more modern style of Beychevelle, perhaps stylistically not unlike Léoville-Poyferré with its floral aromatics and sumptuous fruit, eschewing the more classic style of vintages up until about five or six years ago. It just did not quite convey the harmony and precision of the best vintages of Beychevelle, yet the 2017 is leagues above their 1990s output, even if not from the very top drawer. Another man who switched Right Bank for Left is Jean-Michel Laporte. After his tenure at La Conseillante he switched caps to work as a courtier before returning to what I think he does best: running a château. Talbot would not have been my first guess of where Jean-Michel might have landed, but on reflection, it is a perfect match. He will give Talbot the momentum that I feel has been lacking in recent years. “The vineyard was fortunate not to be damaged by frost. We lost one-third of the crop for the white, but there was no real damage on the reds. It was very good flowering which was surprising given the weather. June was extremely hot, especially at the end and then summer was neither cold nor hot. We had a lot of rain at the end of September and this affected the Merlot more than the Cabernet Sauvignon due to earlier ripening and this is why there is more Cabernet in the blend. We also have a little more Petit Verdot.” This is going to be an intriguing estate to follow. Since Roman Ducolomb joined Beychevelle I discern more fruit and sensuality in the wine and I wonder if Jean-Michel will do the same here? To be honest, it is not what I necessarily desire from this growth. What I am looking for is a bit more stuffing and density, a touch more ripeness and persistence on the finish whilst upholding Talbot’s classicism. Jean-Michel had no input into the 2017 apart from greeting visitors during en primeur since his tenure only began at the beginning of March. In the meantime, the 2017 is a decent, solid, dependable Talbot that should drink nicely for 15 to 20 years. At Gruaud Larose the most eye-catching feature remains the priapic metal tower that spouts from the vineyard. Although the tower is the most conspicuous change, more importantly, there is a less visible revision of vineyard husbandry. Following the lead of Pontet-Canet, Palmer and Latour, 32-hectares of the vineyard were converted to biodynamic in 2017 that will be increased to 50-hectares in 2018. “We cropped at 49hl/ha since we were only slightly touched by the frost,” proprietor Jacques Merlaut explained. “There was no stress in the vineyard. It was rainy in September after an exceptional summer. We tried to find the same tannin extract of the Cabernet Sauvignon that felt very beautiful in the vineyard. The tannins make the taste, so it was important to approach each vat very precisely. The structure is very good in terms of density and finesse.” I have a lot of affection for this Saint-Julien. Some have claimed that Gruaud-Larose has “meandered” in recent years, something I sympathize with, though I do not totally agree. The latest release comes in at a modest 12.88° alcohol and is enhanced by what feels like a prudent extraction in the winery, one of the keys to finding success in this vintage. Whilst it might not constitute a long-term Gruaud-Larose, it is beautifully crafted, just a wine intent on giving pleasure. Now this is one of a handful of major château that I feel was hampered by the frost. Despite their wise decision to eschew the second-generation fruit, the barrel sample lacked the usual energy and harmony. Readers will know that I am a fan of Lagrange. They have produced marvelous and lest we forget, well-priced wines in recent years. Even when judged against its close neighbors such as Gruaud Larose and Talbot, the Lagrange feels like the best the team could do under the circumstances, but it lags a couple of paces behind its peers. Another property affected by frost was Branaire Ducru. Around 20% of their vines were touched however, I feel that there is more success here than at Lagrange. François-Xavier Maroteaux, who has taken over the running of the property after the sad passing of his father Patrick, explained that the 80mm of rain in early September nudged tannin maturation towards ripeness. I have been a little cautious in my assessment of Branaire Ducru in recent vintages, but the 2017 is classic in style, very well balanced and with a little more horsepower on the finish than usual. Finally, round the corner from Branaire-Ducru at Château Gloria, they admitted that some of the vines began suffering hydric stress towards the end June. “The harvest lasted a long time because you had to attain the precise ripeness in each parcel,” I was told. “There was 80mm of rain beginning of September, so it was important to wait as long as possible as the berries were swollen. We did some saignée in the winery of around 10% to enhance the concentration.” The headline for me is the sheer quality of the Saint-Pierre. I must confess that this is a cru that I have had to re-evaluate in recent years because I am rapidly arriving at the conclusion that it now has the edge over the better-known Gloria. This might be the “insiders’ choice” if choosing a Saint-Julien, a wine often keenly priced and delivering quality up there with some of the best in the appellation. Don’t say I didn’t tell you. 1) A strong year for the whites in Pessac-Léognan and Graves, since a majority picked before the early September rains. 2) Reds are more inconsistent. Many fewer Graves afflicted by under-ripeness from use of second-generation fruit. 3) Some properties like de Fieuzal and Larrivet-Haut-Brion (white) not released after frost damage. 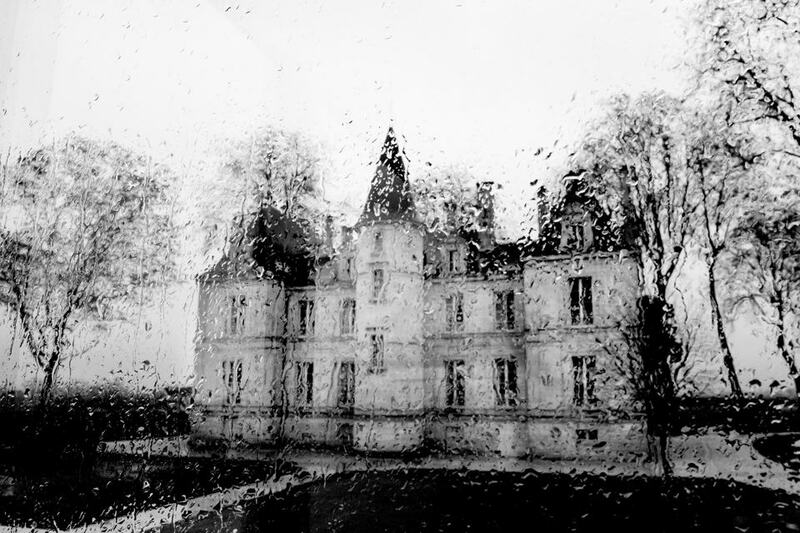 In 2017 the April frost parsed the Pessac-Léognan châteaux from those inhabiting the vast Graves hinterland by inflicting far less damage upon the former. Factor in the differences in terms of less wealthy properties having fewer means at their disposal to protect themselves against frost (naturally or man-made) or de-select more second-generation fruit at harvest-time, then this bifurcation becomes wider. Thankfully there are some marvelous whites to be found and not only from the most famous addresses. This was the first year in a long time that I did not have to suffer the gridlock on my way into the city of Bordeaux to visit Haut-Brion. 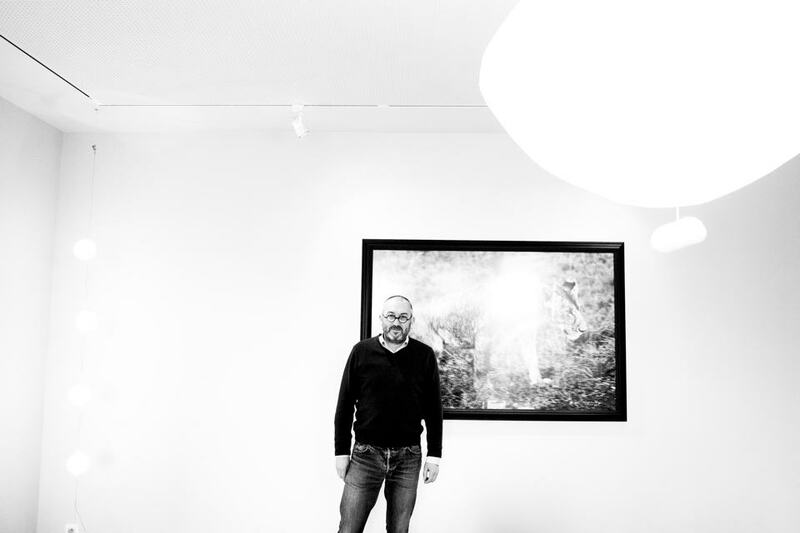 Jean-Philippe Delmas, self-effacing and affable as ever, showed me through the latest vintage of whites and reds that span Bordeaux AC up to First Growth. The city suburbs afford Delmas’ vines a slightly warmer microclimate that essentially threw over a protective cloak when frost threatened. “The vines started [their maturation cycle] in mid-March, we had a very warm and dry April causing acceleration in growth. The flowering, véraison and so forth were all two weeks in advance. We started the harvest quite early on 21 August for the whites. Because of the rain in the second week of September, 70mm from 8 to 17 September to be exact, it was the longest harvest for the reds, lasting from 31 August to 29 September, the Cabernet Sauvignon was picked from 21 September. The rain came at a bad moment for the Cabernet Franc and so we put in the garbage. Overall we had 20% less rain than usual and during July and August, 50% less. The huge storm in June gave us reserves for the summer. We had low levels of sun in July with few days without cloud.” Jean-Philippe Delmas told me that his team were obliged to do less sorting than in 2016 and that he is also practicing less green harvesting in order to keep a lid on alcohol levels, which have been comparatively high in recent vintages. Asked if the 2017s remind him of any other vintage, interestingly he answered “2001”. Tasting through the range, surely the only one that spans Bordeaux AC to First Growth, is always a fascinating task: comparing the siblings of La Mission Haut-Brion and Haut-Brion, switching over from red to white, Left Bank to Right Bank (denied this year as Quintus was only being shown at the property.) This year I noted a wider gap between the Deuxième and Grand Vins. Between La Mission Haut-Brion and Haut-Brion? For me, the latter ahead by a nose thanks to its fruit intensity and length, although they share a sense of symmetry and precision, partly enhanced by slightly lower alcohol levels than previous years. With regard to the whites, allow me to stir the pot for a moment, I feel that these are often over-rated during en primeur. I love these wines. I have drunk many vintages in bottle, young and old, sight and crucially, blind. I just do not think they merit some of the ludicrously high scores I see elsewhere. With some exceptions, for example the 1985 Haut-Brion Blanc, they do achieve a level equal to a top German Riesling or white Burgundy, but quality-wise they usually rank a rung below. The 2017 La Mission Haut-Brion Blanc and Haut-Brion Blanc are truly excellent. I am just explaining why I will not go overboard with my score, though I concur with Jean-Philippe Delmas that they may well be superior than their respective previous two vintages due to their concentration and freshness. 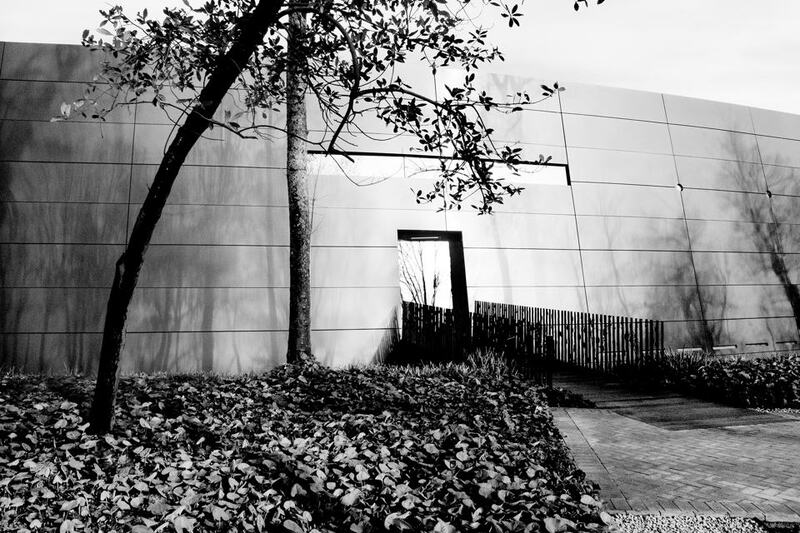 Space age winery at Les Carmes Haut-Brion. Either looks like a UFO or a surfacing submarine depending on how much you have drunk. Ah – whole bunches. Whilst in vogue in Burgundy, the use of stem addition in Bordeaux has not caught on in the same way as amphora or biodynamics. To my mind, only Smith Haut-Lafitte used some whole bunches fruit in 2017, albeit at a lower percentage. As I have written before, it is a practice that carries some risk inasmuch that you must ensure that your stems are fully lignified, not to mention onus upon consumers to afford its bottle age before it subsumes any stemminess and turns it into interesting secondary aromas and flavors. Here, I think it works well. Pouthier has experienced winemaking in other regions so he has some knowledge and to be honest, I wouldn’t mind seeing the practice tried and tested elsewhere...just to “see”. The result is one of the most individual wines you will find in Bordeaux, thanks to the high proportion of Cabernet Franc, the stem addition and so forth. Oddly enough, the bouquet reminded me of a fine Burgundy instead of say, a Loire that you might expect given the blend. Certainly it is imbued with a compelling linearity, not a wine of weight and power, but one with impressive persistence. Of course, all that is irrelevant if it does not taste good. And you know, it tastes good. From the innovative Les Carmes Haut-Brion to the more traditional Domaine de Chevalier. That’s not to infer that Olivier Bernard is not averse to new ideas but frankly, when you have already produced such a plethora of great wine, why change? One feature visitors will spot upon driving up through the vines to the château is large wind turbines. Surrounded by forest, Domaine de Chevalier can be prone to frost. So how did the vineyard fare in 2017? Bernard enlightened me on two or three measures that made sure he got to the end of the harvest with a decent yield when other vineyards were decimated. The word that encapsulates the Domaine de Chevalier Rouge is a French one – “buvabilité” or “drinkability” (it sounds better in French). It is very well balanced, assured and harmonious, not up to the standard of the 2015 or 2016 but a wine that you just know is going to give a lot of drinking pleasure. The standout is the Domaine de Chevalier Blanc that revels in a benevolent season for the whites in general, brimming over with tension and energy, one of the finest that I have encountered in recent years. And no, I had not tasted dozens of tannic Cabernet before any of my four tastings! Now, I have not seen this robot although, the actions of Gabriel Vialiard brought to mind some kind of multi-limbed, octopus-like automaton that selects berries at lightning speed. Certainly it would seem to have worked, judging by the sample of 2017 Haut-Bailly tasted. Like some of its peers, this is a more “solid”, linear take on the vineyard, quite a dense and swarthy wine that would suggest that it will require more cellaring than others, but also may possess the greatest longevity. I admire its precision and persistence – perhaps there is some semblance to the legendary wines produced at Haut-Bailly in the 1920s before the vineyard expanded? At nearby Smith Haut-Lafitte, Daniel and Florence Cathiard are busy overseeing renovations to the winery with plans for a new tasting room. First, I asked about the effects of frost. “We were almost completely frozen on [the vineyard of] Cantelys,” head winemaker Fabien Teitgen explained. “We have some fans there but in the end we lost over 50%. The winter was dry and February warmer than usual that prompted an early bud-burst. April was dry and cool and then of course, there was frost towards the end. May was warm and we had a short and homogenous flowering. June was hot and dry and there was some hydric stress in the middle of the month that caused polyphenol synthesis. July was dry and the temperatures were average so that véraison was two weeks earlier than usual. We had to pick quickly from 24 August to 9 September for the whites and on 11 and 29 September for the reds. We used 160 pickers, many locals from the university, compared to 100 in 2016, in order to harvest at optimal ripeness. There was a little less extraction this year and stopped the punching down before the end of maceration and kept the temperature around 26° to 28° Celsius for the maceration. We now add some whole bunches of Merlot with red/brown stems representing around 10% of the production of the Grand Vin. We used no second generation bunches. They were used to make some rosé.” It was a good solid set of releases, each label designed from specific markets, whether it is domestic or international, for early or late drinking, or the crown jewel Smith Haut-Lafitte itself. This is an excellent contribution to the vintage full of depth and succulence, perhaps one of the longer lived Pessac-Léognan wines this year. If you pick carefully you will find a clutch of excellent Pessac-Léognans, not least a Carbonnieux Blanc that exudes an uncommon sense of confidence and hubris. Jean-Jacques and Severine Bonnie oversaw a quartet of impressive wines, both the white and red variations of Malartic-Lagravière and Gazin-Rocquencourt, the Malartic-Lagravière Blanc possibly ideal for those who don’t fancy shelling out for the Haut-Brion Blanc. 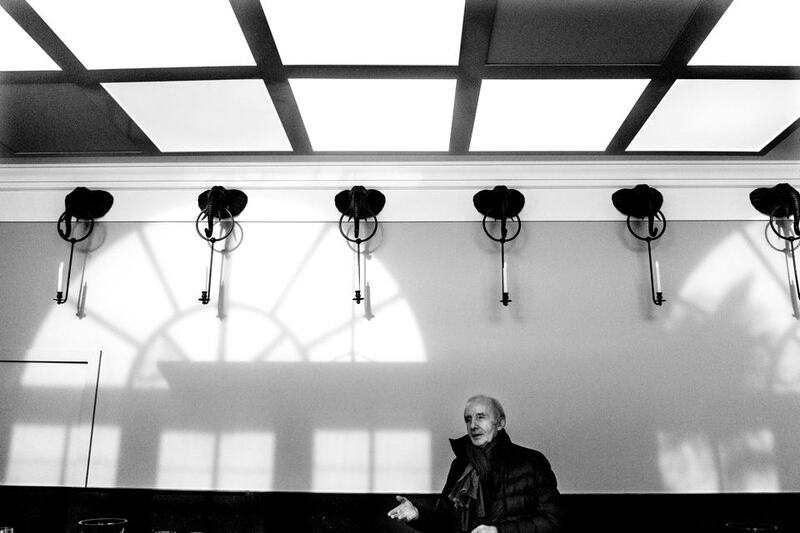 Meanwhile at Pape-Clément, I was delighted to be met by proprietor Bernard Magrez. I last saw him in January, two nights before burglars attacked him and his wife in their home. They were probably lucky that Magrez is not sixty years younger, but he was back in the saddle and produced an outstanding Pape-Clément. Some persist that this Pessac-Léognan continues to produce the rather overblown wines of the 1990s (not unlike Troplong-Mondot at its most excessive in some ways). The wines are presently far more refined and terroir-driven and the 2017 is decidedly classic in style with a gorgeous, very persistent finish. 1) More impact from the frost in communes further away from the estuary. 2) Clearly instances of second-generation fruit used, which never really achieved full ripeness by the time of picking. 3) Generally a “classic” style, masculine and a little foursquare, however there are gems and sure to be value-for-the-money if you look carefully. Forgive me for bundling this swathe of notes that broadly covers the Left Bank outside the boundaries of the communes of Saint-Estèphe, Pauillac, Saint-Julien and Margaux. Here we are looking at dozens of wines from Moulis and Listrac, the Médoc and Haut-Médoc and also Bordeaux Supérieurs. It is meant as no disrespect to these châteaux or their winemakers. It is just the result of limitations on time and space. But, for certain, it is here that the pernicious claws of frost dug deeper than those aforementioned communes in April. Located further away from the warming waters of the Gironde, the vines were more exposed to the plummeting temperatures. Add in the fact that a large percentage cannot afford counter-measures such as wind turbines or helicopters, that it might be financially untenable to discard whatever second-generation fruit was at hand and it is no wonder that there is a different story to tell. If you search carefully there are plenty of gems to be found such as La Lagune, Sociando Mallet, Greysac, Tour Séran and odd unfamiliar names that just seemed to achieve more than expected such as the Bordeaux Supérieur Château de la Cour d’Argent or Clos Manou. However, generally, the excitement level does drop away quite dramatically once you are beyond the well-known addresses and communes. It was not a growing season whereby you could really transcend the vintage thanks to a hot July and August or an Indian summer. You had to accept what Mother Nature gave you and do the best you can. It does not please me writing those words. 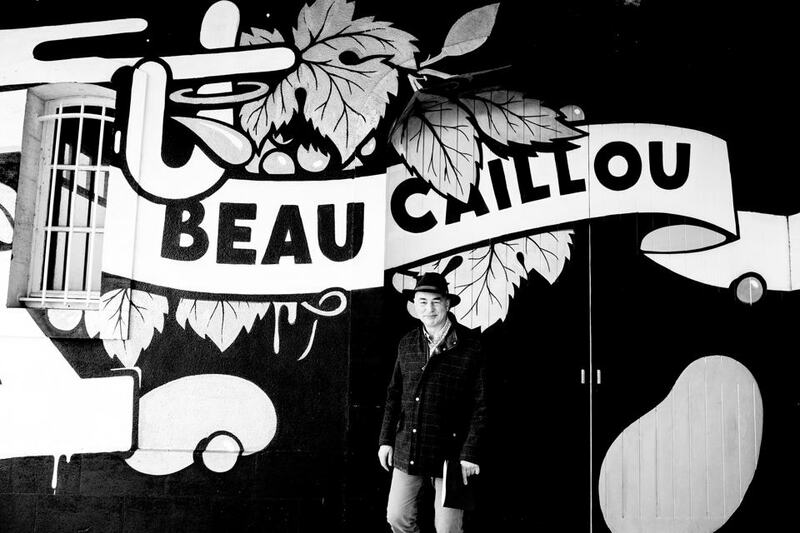 For many years I have supported and waxed lyrical about Cru Bourgeois and so forth because they represent outstanding value compared to many other regions nowadays. However, in 2017 I would be more tempted to wait until many of these wines are finished and physically available, whereupon reviews are far more relevant. Readers should note I have also included many wines classified as Bordeaux AC here. Again, many felt under-ripe with evidence of greenness. 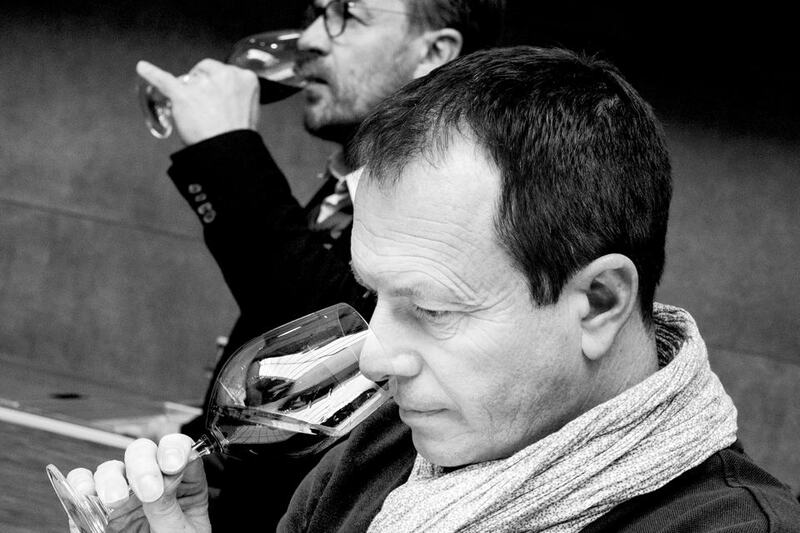 However, there are wines worth seeking out, especially in terms of the whites such as the 2017 La Grand Clotte from Dany and Michel Rolland who are perhaps more known of their reds, and the odd red that seems promising such as Pabus and La Doyenné. 1) Sauternes was severely impacted by frost in some places, spared in others. Yields are very low. 2) Mainly two tries through vineyards, the heart of the picking in the second week of October. 3) Rich and mellifluous wines in general, not mind-blowing but certainly they will appeal to Sauternes lovers, however small in number they may be. Few attendees, trade and scribes alike, make the schlep down to Sauternes. It’s a pity. It is a beautiful enclave of Bordeaux, peaceful, rustic and full of history, personalities and stories. They were all encapsulated in a Pierre Dubourdieu, father of the late Professor Denis Dubourdieu who came out to enjoy a rare day of sunshine at Doisy-Daëne. I heard a great story about how he introduced dry white wine to the region back in the 1940s and was probably responsible for the introduction of Ygrec and how he still enjoys cycling around Barsac. Those tales can wait another time. No doubt Pierre must have witnessed and survived a few frosts in his life including 2017. Sauternes was not spared and when Bérénice Lurton announced that there would be no production of Climens, many realized the extent of the damage that was particularly acute on colder limestone soils and those exposed to cold air coming out of the surrounding forest. They probably also over-estimated it too because not everywhere was hit. The most severe damage was in Barsac, the lower parts of Preignac and Bommes and lower reaches in general and yet some estates were completely unaffected. Such is the caprice of frost. These surviving vines enjoyed a blissful warm summer and then the beginning of September saw a small outbreak of noble rot and an early trie. Winemakers had to be mindful of bad rot of “aigre” that had to be sorted out in the vineyard. Bill Blatch noted that in some cases this caused greater depletion of production than the frost. In September, clement conditions prevailed and limited the outbreak of bad rot, then after a spell of rain there was a large trie from 9 to 13 October that forms the heart of the 2017 Sauternes. The grapes were extremely concentrated and had to be moderated by fresher, earlier picks with higher acidities. The end result is a small but very good quality vintage, if not an exceptional one in Sauternes. It is not a simple case of the best terroirs delivering the finest quality since the frost mixed things up. That said, the familiar names did excel. Yquem, being at the highest point in Sauternes, escaped any significant frost damage and they went further by simply discarding 30% of the parcels that were deemed lower in quality. No questions, no hesitation, just left for the birds! The result is an exceptionally fine Yquem. There are also superb examples from Suduiraut, de Fargues, de Rayne-Vigneau, Sigalas-Rabaud, Coutet, Doisy-Daëne and Doisy-Védrines. The latter two were a surprise in that they seemed to have swapped personalities, the Doisy-Daëne adopting the fatness associated with Doisy-Védrines that was more linear and mineral-driven than usual. Readers will know that I have been banging on about the magic of Sauternes for years. I’ve spent a whole day visiting the region during primeur with Bill Blatch for over a decade now and written reams proselytizing its greatness. And yes, I know it is probably futile. Sales remain sluggish and these sweet elixirs remain criminally out of fashion. Despite numerous ideas to remarket and rebrand Sauternes, none have been genuinely successful. However, trust that on Vinous, this writer will continue my crusade to encourage more people to drink Sauternes and appreciate its remarkable radiant wines.